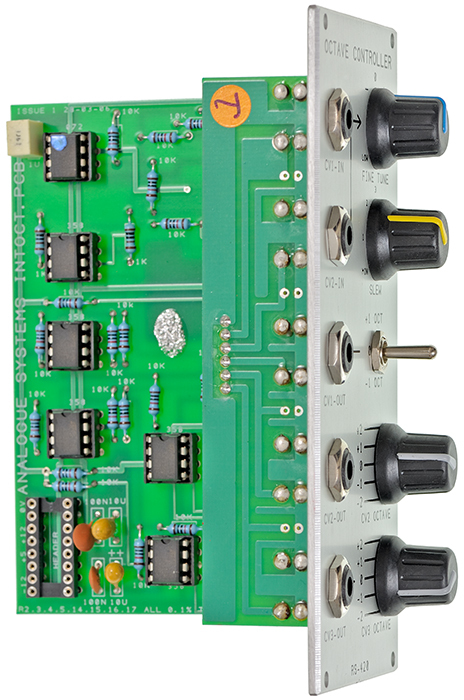 Multi functional octave controller module with CV buffering and an in-buit slew limiter for portamento effects. A perfect companion for sequencing applications as you can individualy change octaves of up to three VCOs and you can globally transpose them as well. 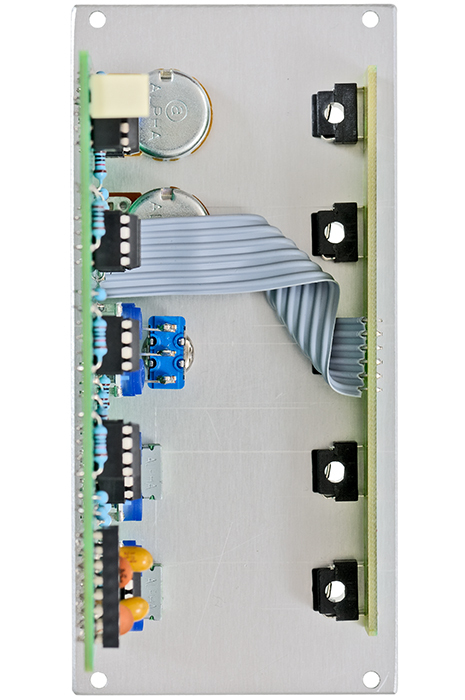 But also in combination with voltage controlled LFOs the module is really great as you can easily double or halve etc. their frequencies for living modulations. 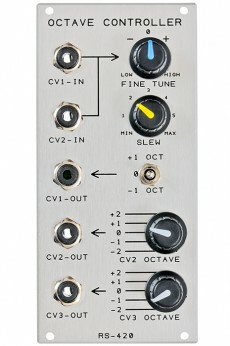 Two CV inputs are available to use the RS-420 between a keyboard sequencer etc. and VCOs. Voltages at both inputs are mixed together and can be further processed. This happens globally, simultaneously for all three outputs by a slew limiter with a maximum time of 5 seconds and a transpose control producing a little more than ±1V (ie ±1 octave). The slew affects the CVs one one hand and movements of the fine tune control on the other. The three CV outputs are assigned to according octave switches, calibrated exactly to 1V, in order that a jump of one octave is a true octave. Tge first output has a rocker switch for transposing one octave down or up. The outputs 2 and 3 have five-position rotary switches allowing for transposition of ±2 octaves.